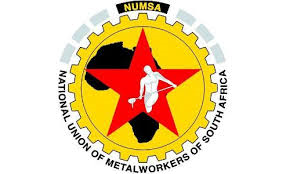 The National Office Bearers (NOBs) of Numsa, on behalf of our 365 000 members, we extend our condolences to SATAWU and the Nkosi family on the senseless and cowardly killing of comrade Chris Nkosi. In Numsa we have consistently maintained that the unity of the working class is sacrosanct and no internal challenges and conflicts among and within the working class is worthy using and promoting violence of any kind as a means to resolving problems. Consistent with this fundamental Marxist-Leninist principle of working class unity and solidarity, we condemn in the strongest terms the wanton killing of comrade Chris Nkosi and the petro bombing of comrade Dube’s house by whoever committed these heinous crimes. We demand that the law enforcement agencies must work swiftly and bring the perpetrators to book, in order for justice to be done, and to prevent the escalation of such absolutely unnecessary violence, should indeed this violence be perpetrated by anyone within the working class. We are very worried and concerned that these violent and cowardly acts are happening at the backdrop of the ongoing implosion of Cosatu and the many internal problems affecting virtually all unions today. We call for calm and cool-heads: any mischievous speculation on the motives behind the killing and torching of houses will be reckless and irresponsible. We call for all leaders of the trade union movement to rise to the occasion, call for unity of the entire working class and provide leadership during this painful period. We call on workers in all unions to remain vigilant and guard against any form of provocation. Again, our hearts and thoughts are with the grieving Nkosi family. Issued by Castro Ngobese on behalf of Numsa. Castro Ngobese is NUMSA’s national spokesperson. Former White Eskom "Engineers" never left Eskom, they were transferred from normal Salaried Employees to Contractors who continued to milk Eskom. Those that remained Eskom Salaried Employees were given special titles such as "Coperate Specialists" or the so-called"Grey-Beards".